Imagine your home. Where do you spend the majority of your time? For most, it’s the bedroom, bathroom, kitchen, and backyard. You spend time in most of these places due to necessity. You have to sleep, shower, and eat. But why do we love to spend so much time outside? An open letter from Harvard says that “spending time outdoors is good for you.” You may enjoy the fresh air occasionally. What’s more, you may like to have your beverage of choice before or after a long day of work. But what if you don’t even have a deck to use? You go without, but you don’t have to anymore. 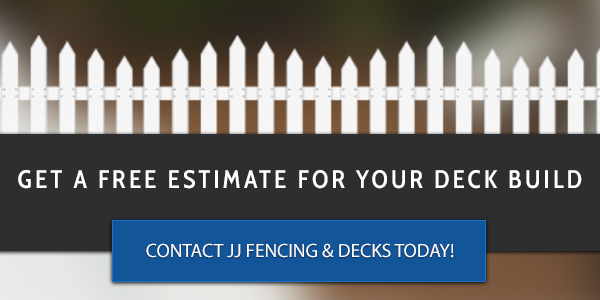 JJ Fencing & Decks strives to be the best local deck installers serving Fort Collins. We help homeowners build decks and install them to fit their needs. 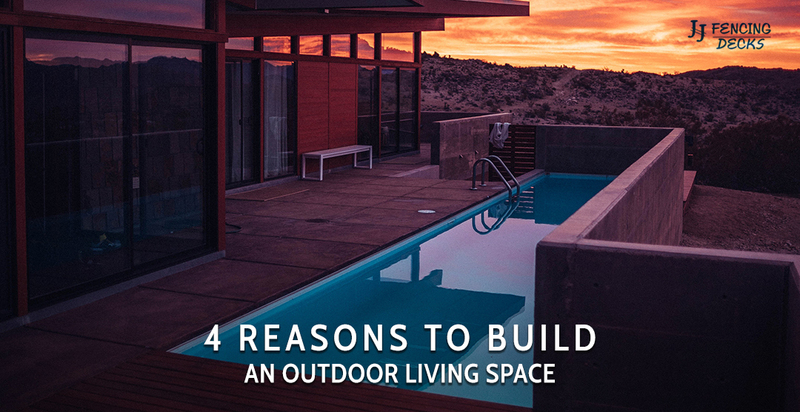 In this article, we’re going to share the four biggest reasons to build an outdoor living space. If you ever decide to sell your home, an outdoor living space can help increase the price of your property. Now, it probably won’t raise the price like a brand new bathroom or kitchen, but it will entice a certain type of home buyer to purchase your home — those who like to spend time outside without going too far from the house. The kitchen inside your home is limited by size compared to the space that you could have in your backyard. An outdoor living space can be built to fit your needs. A grill and adequate counter space can be yours. All you have to do is build it. Most homeowners believe that their living space only exists inside their home. But that doesn’t have to be the case. You can build an outdoor living space that includes a deck or pergola patio to expand your home’s living quarters. On nice days, you can invite friends and family over for a gathering. What’s more, time spent outside is better for you, improving your health. You want a deck and an outdoor living space, but where do you start the process? At JJ Fencing & Decks, we take care of you. All you have to do is let us know what you would like to build, how large, and your budget. We take care of the rest. Call to get a free estimate today!